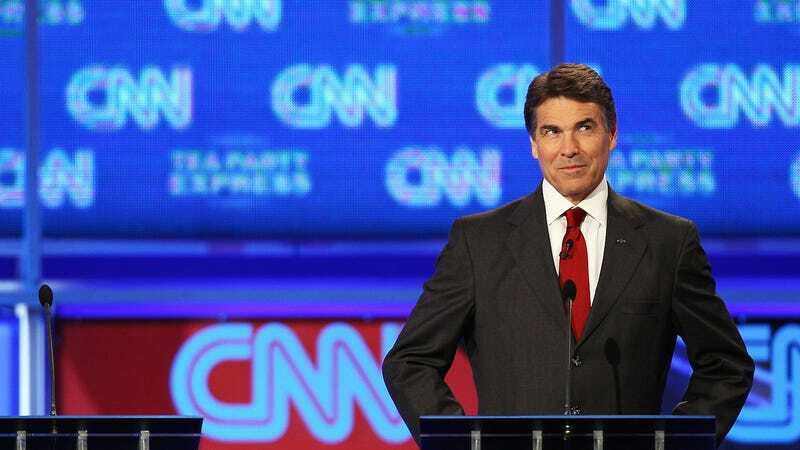 During the 2011 GOP debates, Perry proudly proclaimed he would eliminate three federal agencies: Commerce, Education—and...um....uh....an agency the name of which he couldn’t remember. The fact Perry will now lead that forgotten agency is a supreme twist of irony. It’s sad commentary on yet another dubious Trump cabinet appointment. Sadder still is how ill-equipped Perry is to lead this critically important national security agency. The DOE is responsible for advancing the national, economic, and energy security of the US, promoting scientific and technological innovation in support of that mission (which weirdly includes genetics), and ensuring the safety and cleanup of America’s aging nuclear weapons. It’s also concerned with overseeing the nation’s programs on nuclear nonproliferation and counterterrorism. So important is this position, that the last two DOE secretaries included a Nobel Laureate (Steven Chu) and a professor from MIT (Ernest Moniz). I do believe that the issue of global warming has been politicized. I think there are a substantial number of scientists who have manipulated data so that they will have dollars rolling into their projects. And I think we are seeing almost weekly or even daily scientists are coming forward and questioning the original idea that man-made global warming is what is causing the climate to change. Yes our climate’s changed, they’ve been changing ever since the earth was born. But I do not buy into a group of scientists who have in some cases found to be manipulating this information. And the cost to the country and the world of implementing these anti-carbon programs is in the billions if not trillions of dollars at the end of the day. And I don’t think, from my perspective, that I want America to be engaged in spending that much money still on a scientific theory that has not been proven, and from my perspective, is being put more and more into question. During his failed campaign for the presidency (back when he referred to Trump as a “barking carnival act” and a “cancer on conservatism”), Perry said he’d repeal a number of Obama-led initiatives, including some environmental protections and the nuclear agreement with Iran—more on that a bit later. Perry is vehemently opposed to regulations placed on greenhouse gas emissions, saying they’ll have “devastating implications” to the nation’s economy and the energy industry. At the same time, he’d like to expand the practice of hydraulic fracturing for oil and gas, while authorizing construction of the controversial XL Pipeline. Perry claims to be a supporter of an “all the above” energy strategy, including efforts to improve production of oil, coal, nuclear, biofuels, hydroelectric, solar, and wind energy. But he’s in no rush to invigorate the renewable energy sector, claiming there’s enough fossil fuel reserves in the US to meet the demand for the next 300 years. Despite his antiquated stance on the environment, Perry signed the first law requiring drilling companies to disclose chemicals used during the fracking process—chemicals that are known to leak into water supplies. At the same time, Perry once told an audience of Pennsylvania steelworkers that he would “create another 250,000 jobs by getting the EPA out of the way” of natural gas drilling. He also claimed he could create 1.2 million jobs by increasing American energy production. To make it happen, he would open up numerous areas currently off-limits to oil and gas exploration, and repeal regulations he believes are hampering domestic production of fossil fuels, including drilling in Alaska’s Arctic National Wildlife Refuge and the Gulf of Mexico. In addition to pushing his pro-fossil fuel, anti-environment, anti-science agenda, Perry will likely back President-elect Trump’s promise to scrap Obama’s nuclear agreement with Iran. While running for office, Perry said, “one of my first actions in office would be to invalidate the president’s Iran agreement, which jeopardizes the safety and security of the free world.” He believes the current agreement enables a nuclear Iran, and not the opposite, saying “no agreement is better than a bad agreement.” In its place, Perry would support economic sanctions, military strikes on Iran’s nuclear facilities, and supporting Iran’s internal opposition. The fine folks at the DOE’s various departments and research labs are now bracing themselves for the coming shock that will be the Trump Administration. And if early signs are any indication, it’s going to be a rough road ahead for everyone involved.